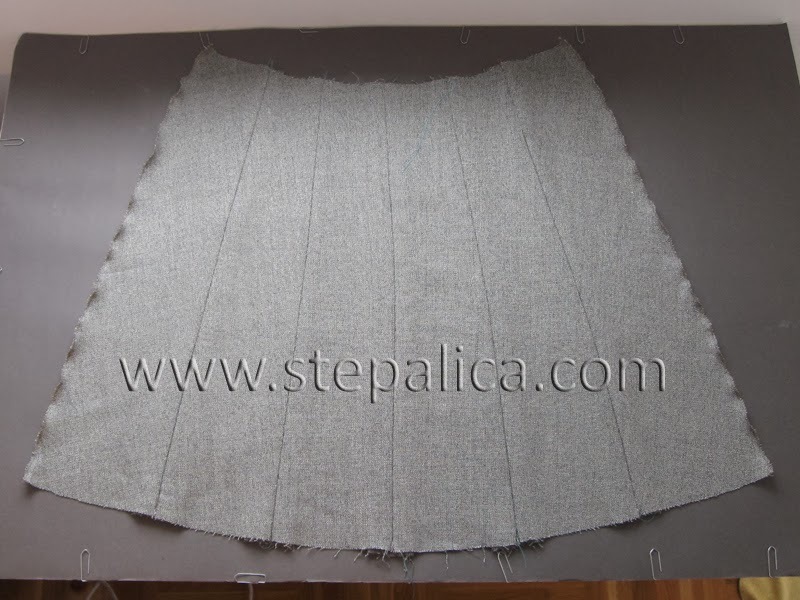 Today we'll pleat the skirt panels, so prepare yourself for a lot of handwork and hand basting! I have to warn you - I'll use pictures of all three skirts in order to demonstrate all the steps clearly, but I didn't manage to snap all the photos on a single skirt. On some pics the thread blended with the fabric, some pics turned out too blurry. Either way, I'll do my best to describe the sewing process as clearly as possible. So, if you're sewing view A or B, fold a pleat in half width-wise, with wrong sides together and match the pleat fold lines on the layers. 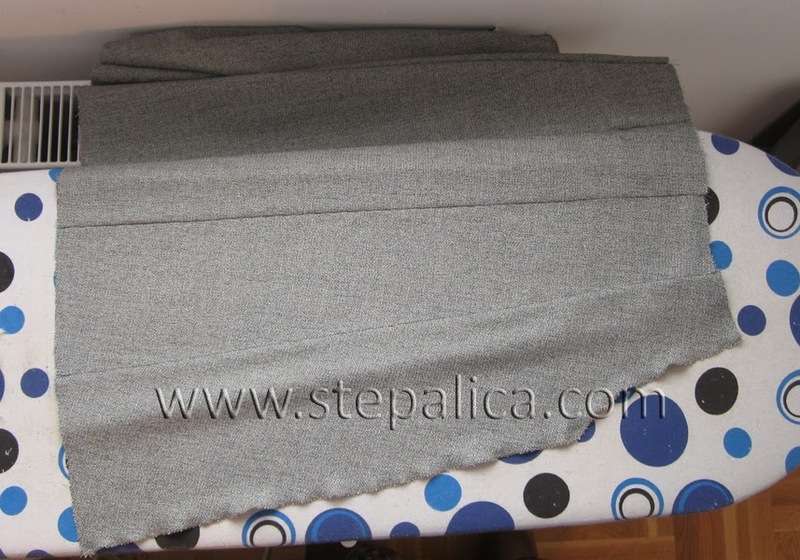 If you're sewing view C, fold a pleat with right sides together. The rest of the process is identical for all the views. I advise you to pin the layers first, and then hand baste them, using dense and short stitches from the hemline to the top of the panel. Also, secure the ends of the basting, by making several stitches at the same spot. This way, you'll secure the stitch from ripping off. 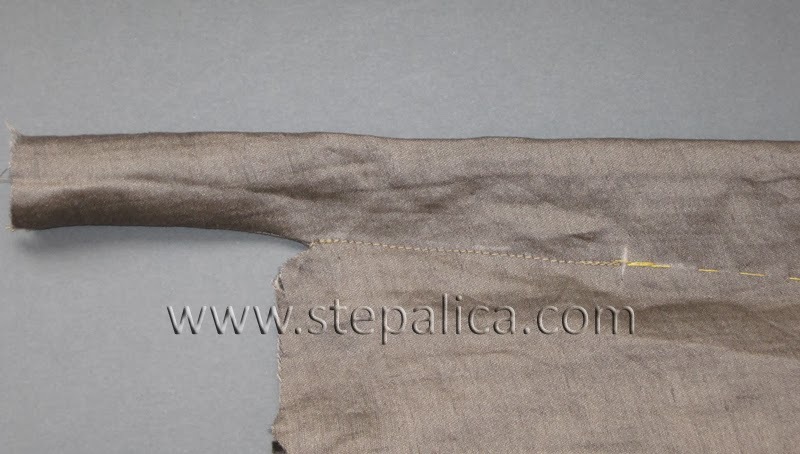 On views A and B the basting should end at the bottom of the belt loop, so that the basting line and the seam on the belt loop form a smooth straight line. 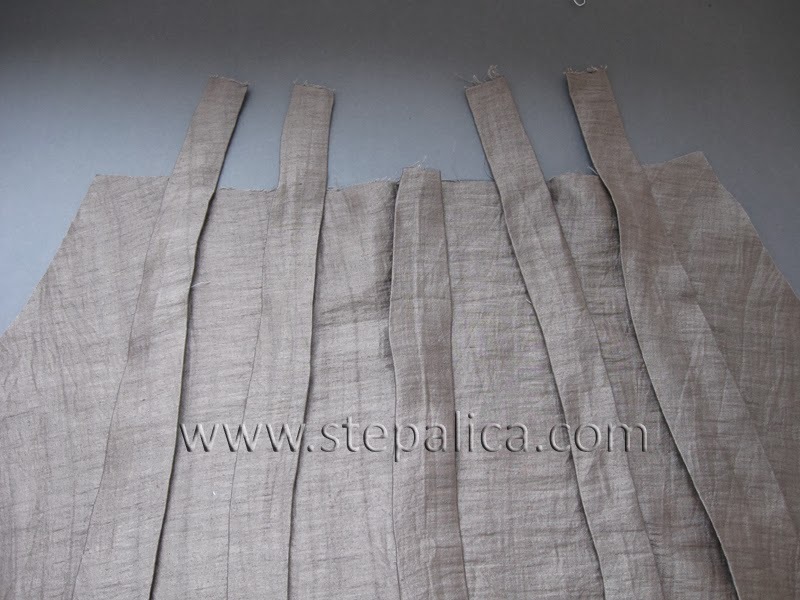 Stitch the two layers along the basting line, starting from the top edge of the panel and ending the stitch at the notch on the pleat fold line, distanced several centimeters from the top line. If you're sewing views A or B, the stitch will be on the right side of the fabric, and if you're sewing the view C, the stitch will be on the wrong side of the fabric. 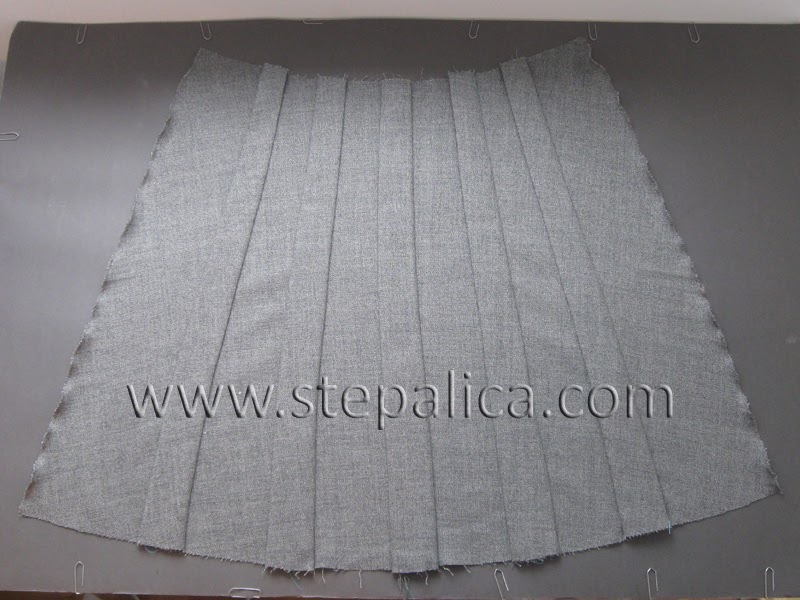 Repeat the process on all ten pleats. Once all the pleats are basted, you need to press them. I will show you the technique I'm using. First I press the basted seam, with pleat laid over the pressing board. I direct the pleat in same direction along its length and press the seam, thus defining its lines. 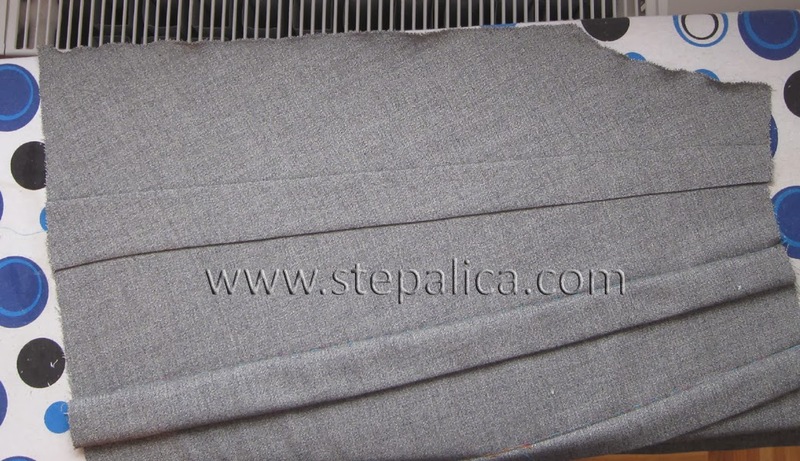 Then I change the pleat's direction and press the seam once again. I repeat the process for all ten pleats. 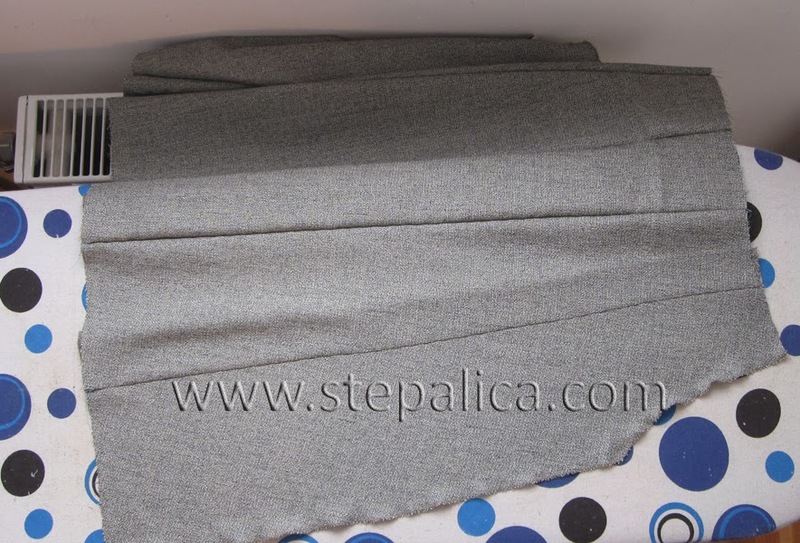 After this, I flip the fabric so that the pleats are on top of it. 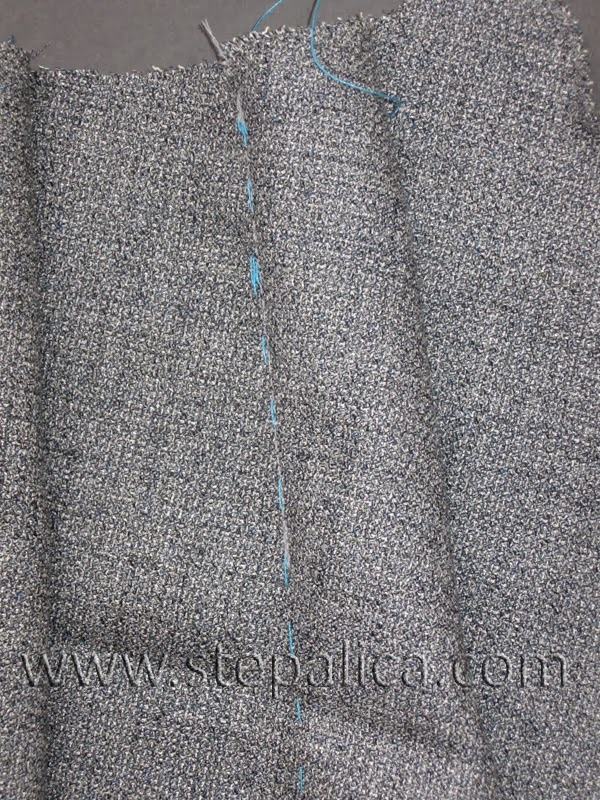 I spread the width of the pleat equally on both sides of the seam. If I have difficulties keeping the fabric in place before pressing, I pin the pleat in place. However, I don't press over pins, as this would impress the pleat into the fabric. Instead, I remove pins as I press the fabric. I repeat the process on all the pleats. 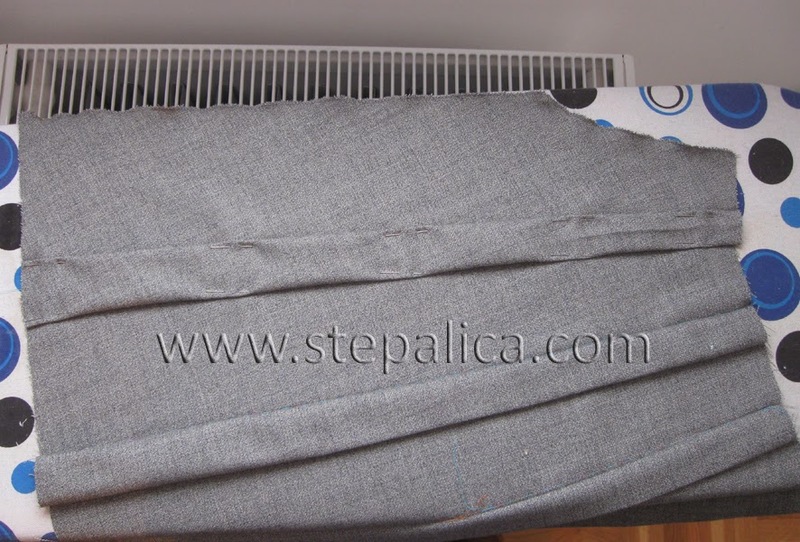 Here's how the panel looks with pleats on top of it. 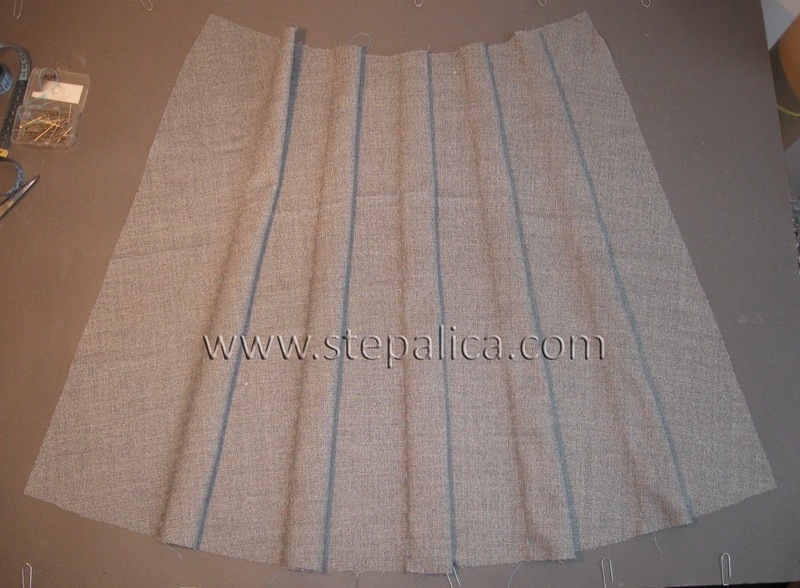 And this is how it looks with the pleats facing down. If you're sewing views A or B, press the belt loops as well, making sure the fold lines of the pleats and belt loops form smooth straight lines. And don't remove the basting thread yet! Tomorrow we'll sew pockets, and I'll show you two techniques for stabilizing fabric at the pocket opening.